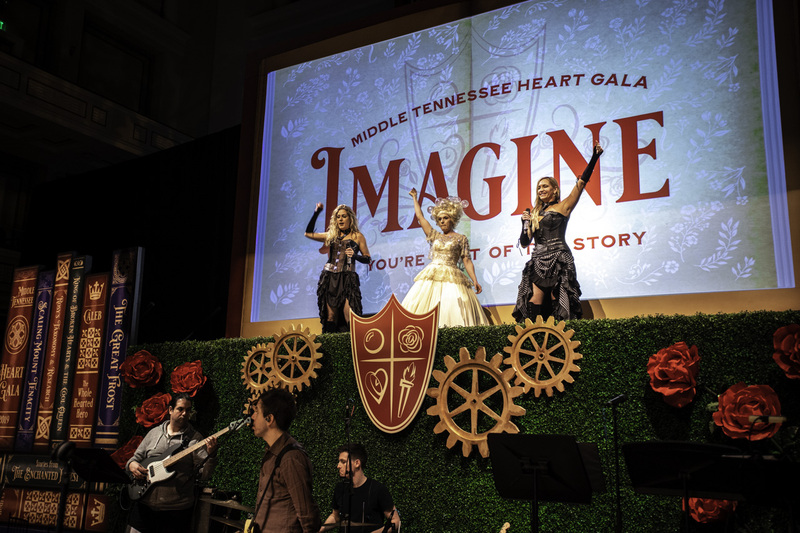 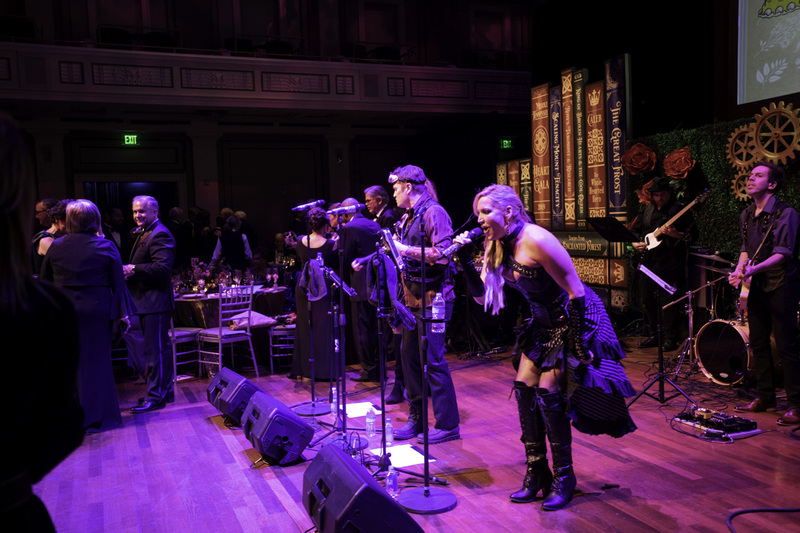 Gary Musick Productions recently partnered with the American Heart Association of Middle Tennessee in producing their annual Heart Gala at the Schermerhorn Symphony Center. 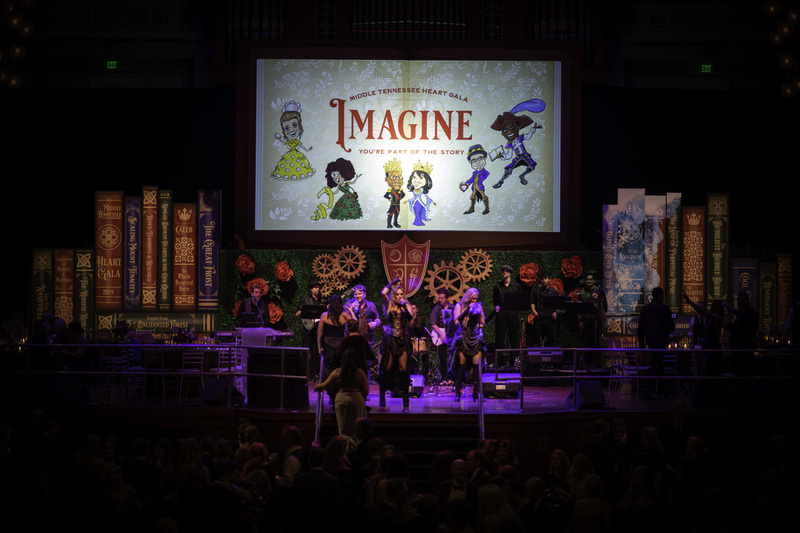 This is our eighteenth year producing this amazing fundraising event. 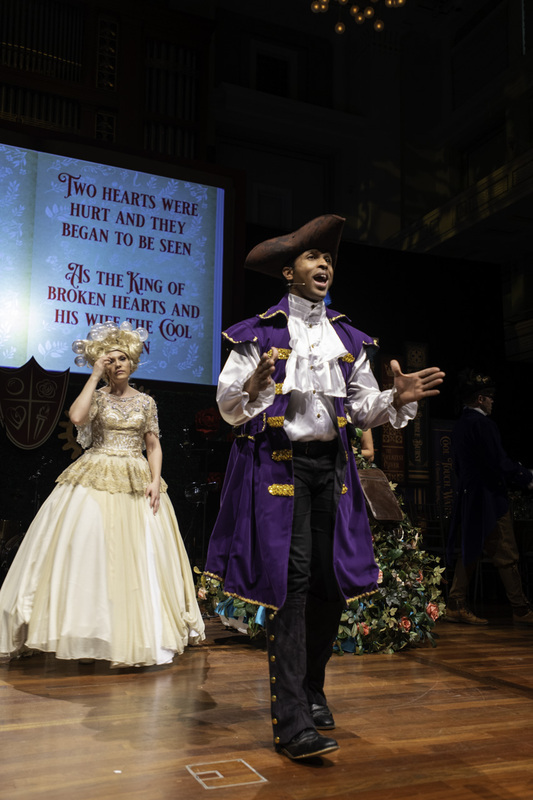 Taking the cue from Hamilton, we assisted in creating a spoken word musical theater piece telling the story of the “King of Broken Hearts” in honor of this year’s Chair Couple, Dr. Herman Williams and his wife, Jeanie. 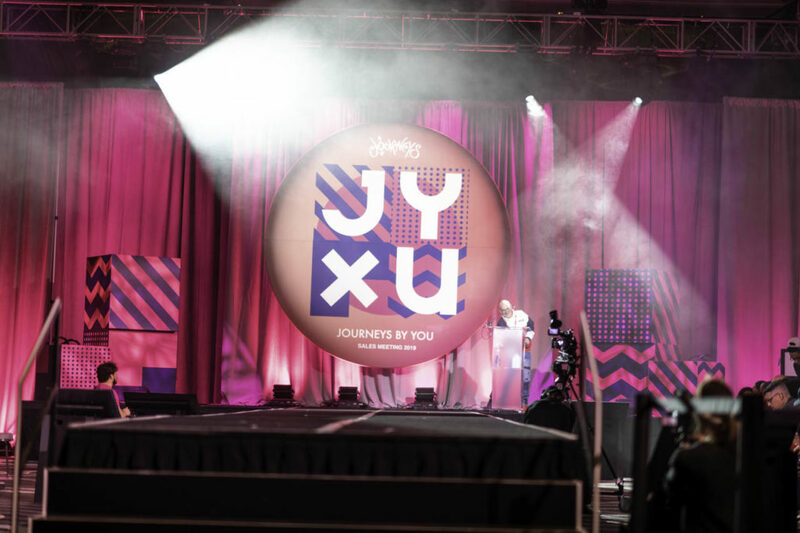 Dr. Williams is a cancer survivor and author of “Clear!” Living the Life You Didn’t Dream Of. 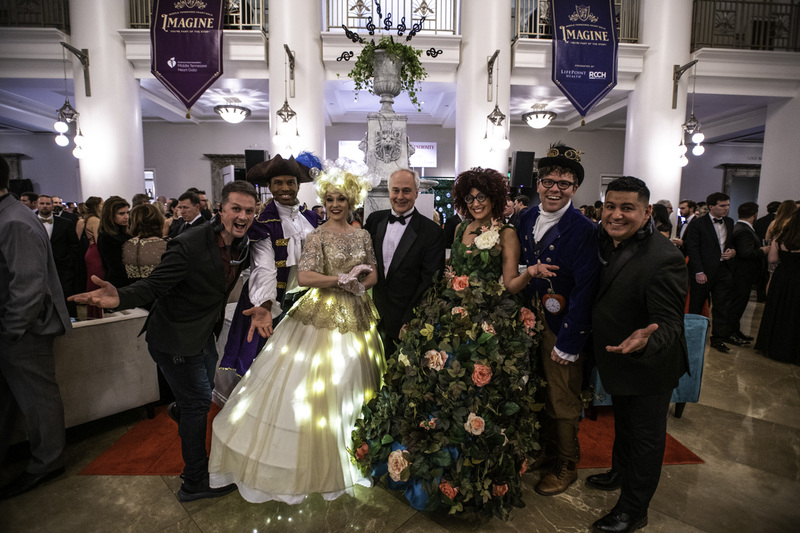 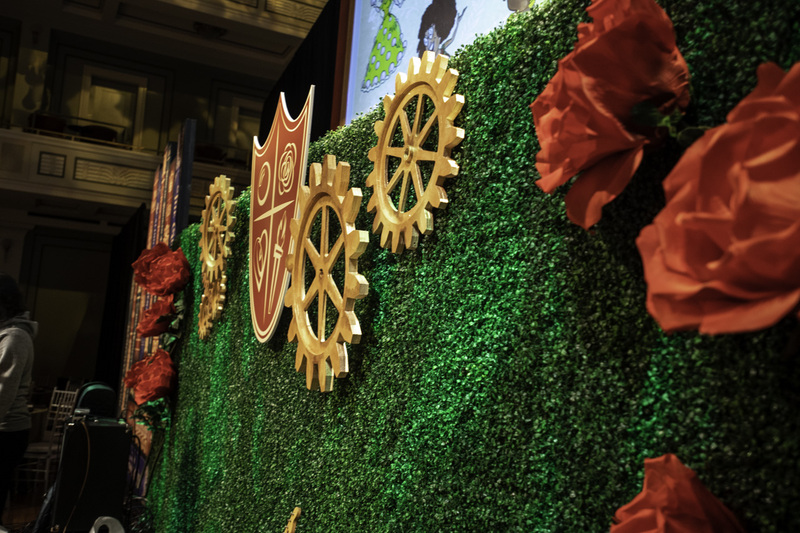 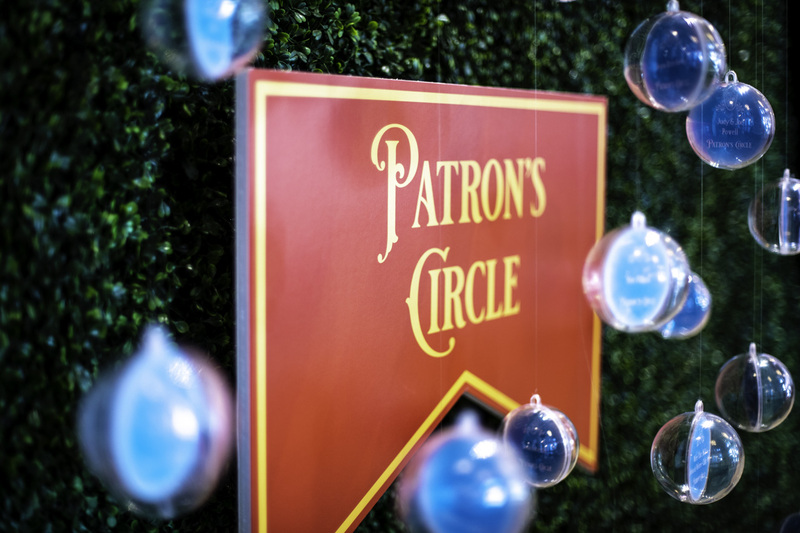 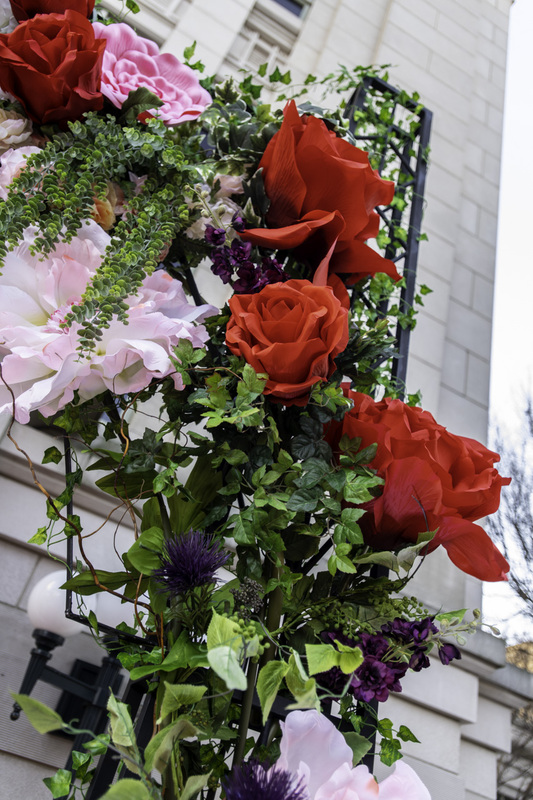 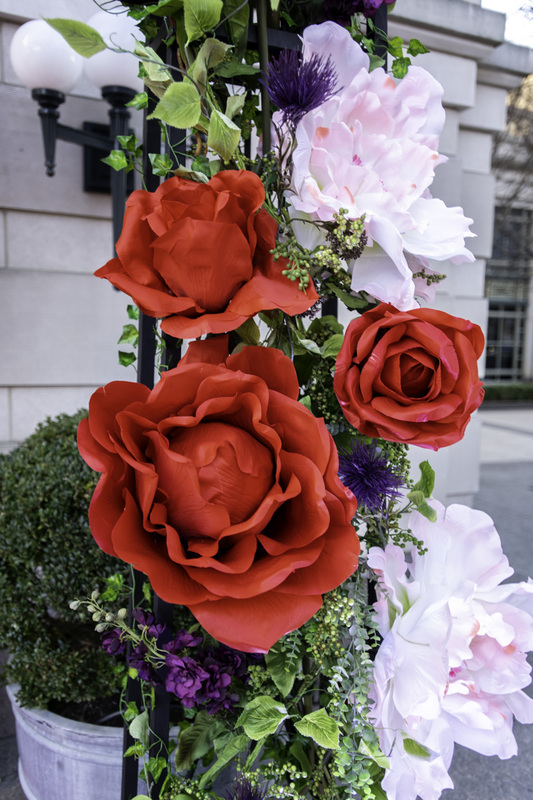 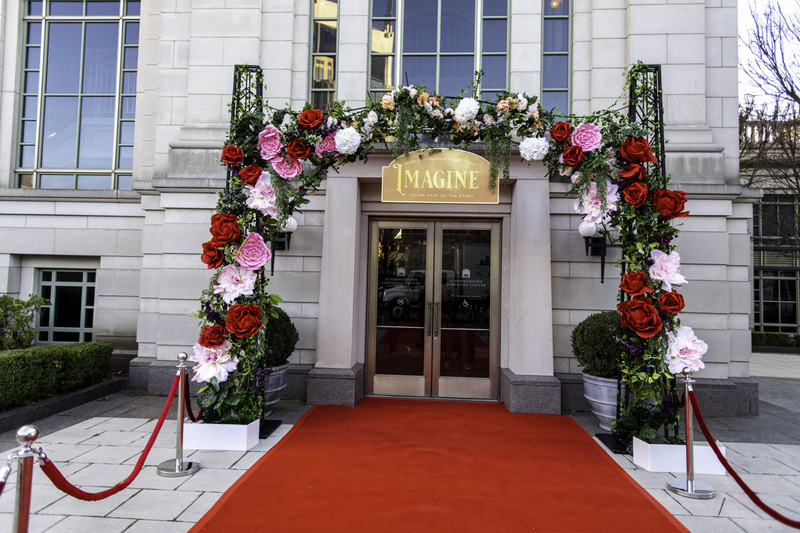 Attendees entered the Black Tie event via the red carpet that then led to a Fairy Tale themed garden arch adorned with oversized flowers and vines created by designer Ed Morales. 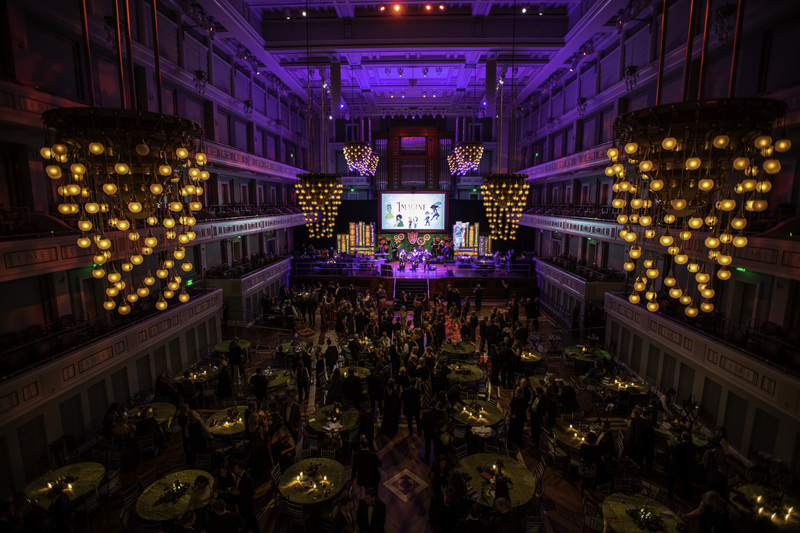 Guests then made their way into the main lobby renamed "The Land of Perpetual Music" for the Gala, where they were greeted with glasses of champagne. 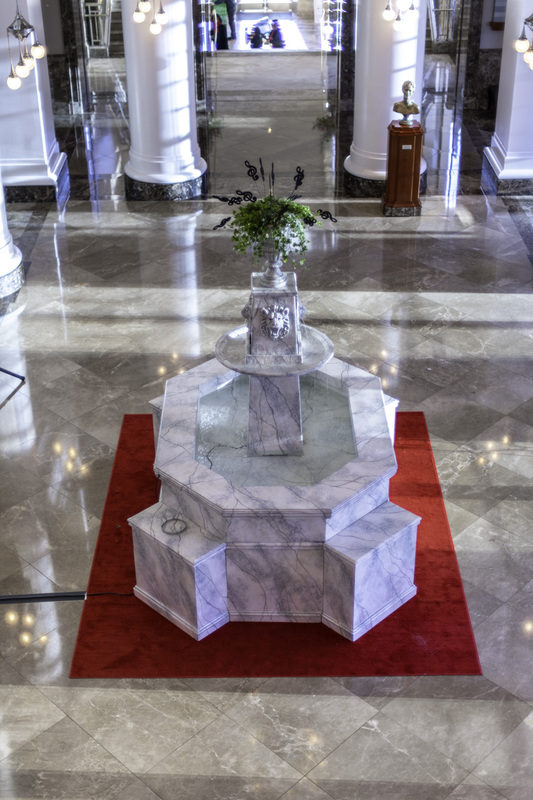 Also featured in this area were an enchanted fountain and four storybook banners which were hung from the balustrades. 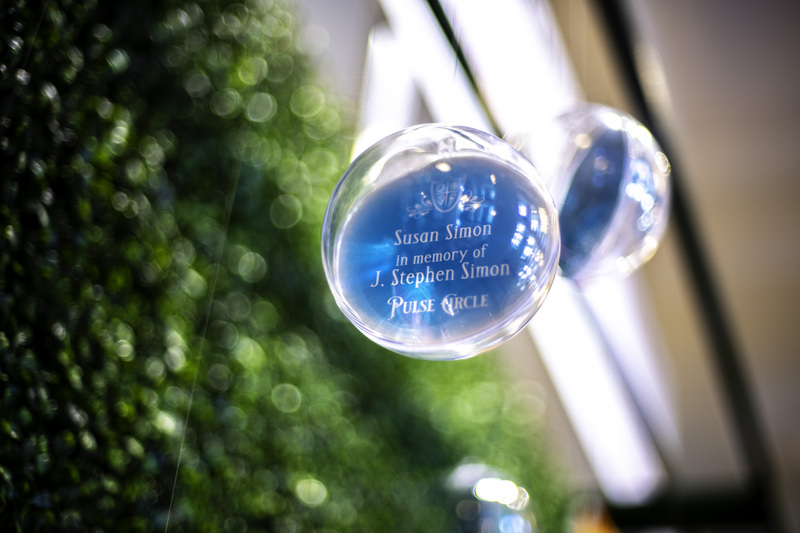 Attendees then made their way to the ballroom through a winter-scape representing a key element in the story. 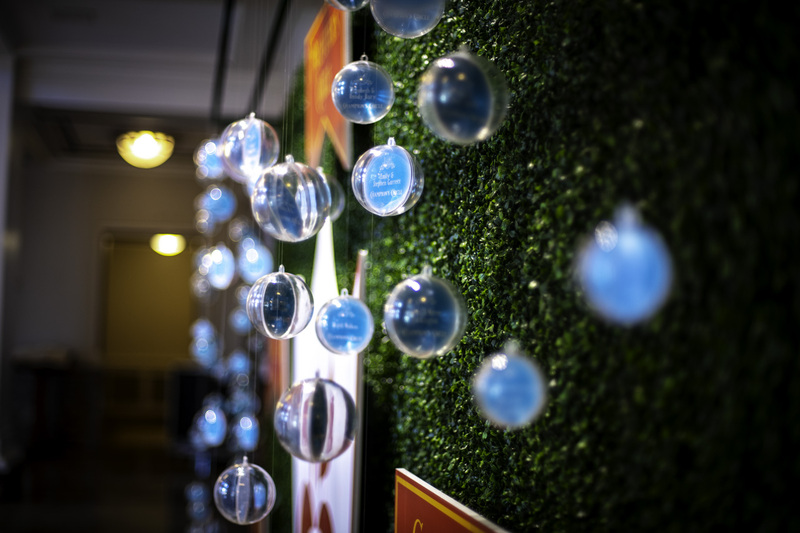 On the way to the ballroom guests passed by the Sponsor Tribute Wall. 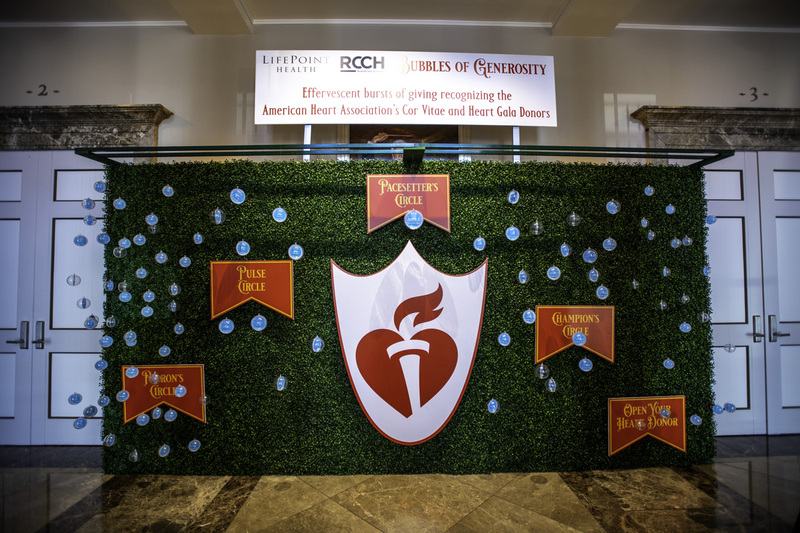 Various sized bubbles floated in front of a hedge wall honoring donors of all levels. 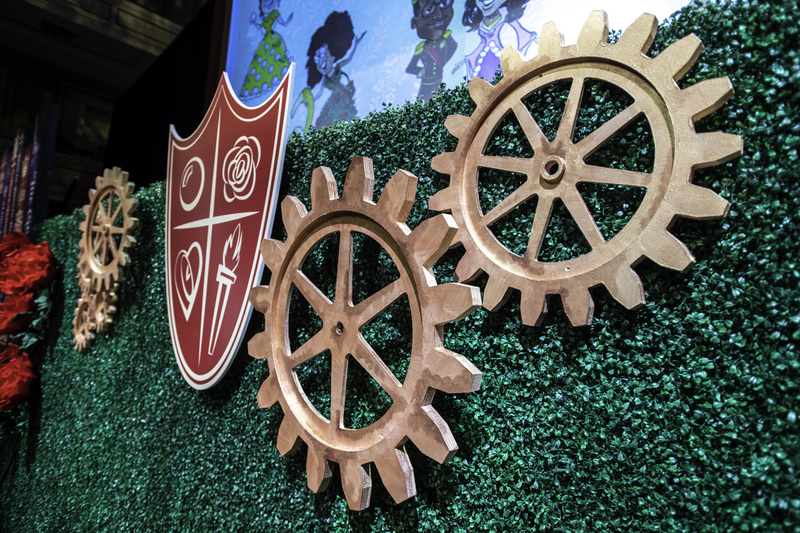 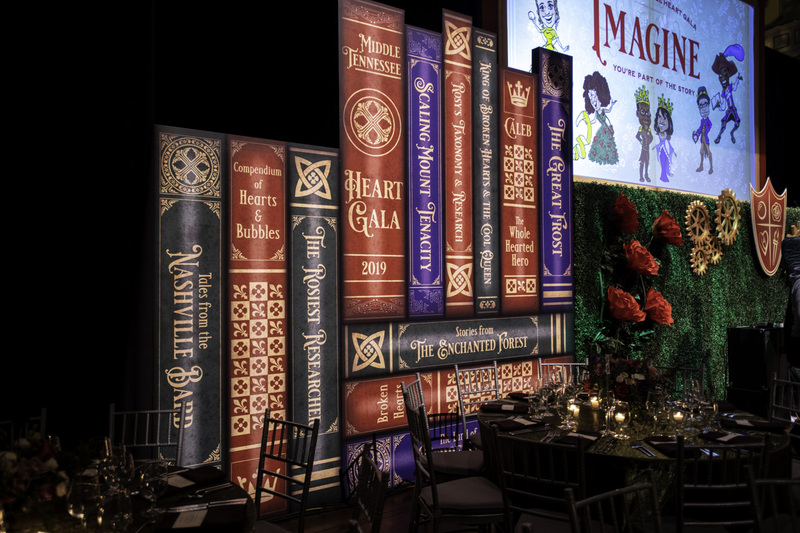 Upon entering Laura Turner Hall, the guests were seated at tables set with storybook themed centerpieces. 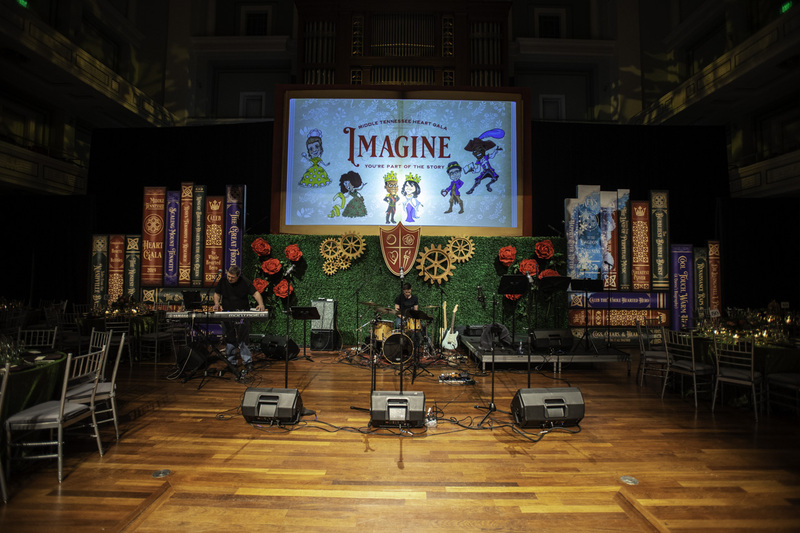 The stage set featuring enchanted rose bushes, bubbles, torches and a library of storybooks penned by the characters appearing in the presentation. 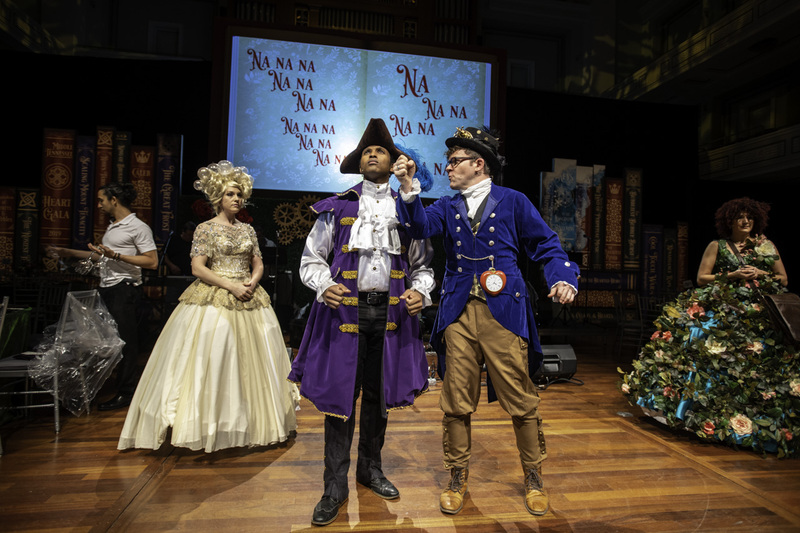 The play was narrated by the Nashville Bard, a character who would rap the stories and introductions with the help of his knighted break dancers fronting the magical center book, which gave attendees the opportunity to read along. 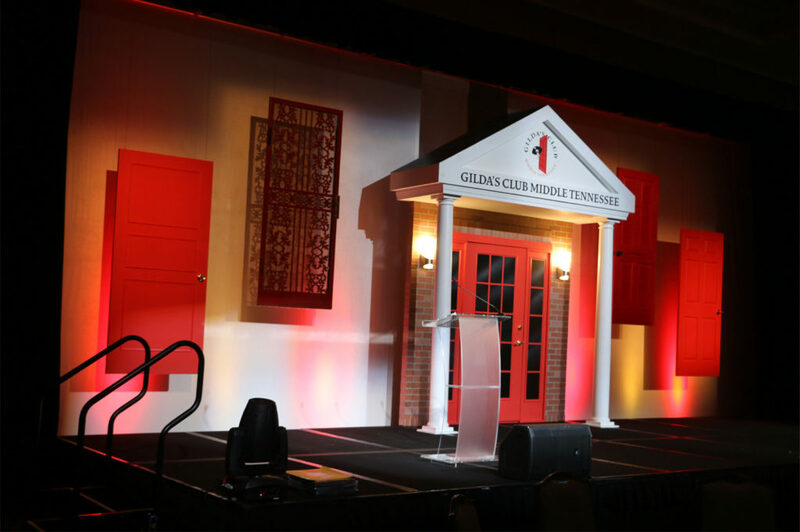 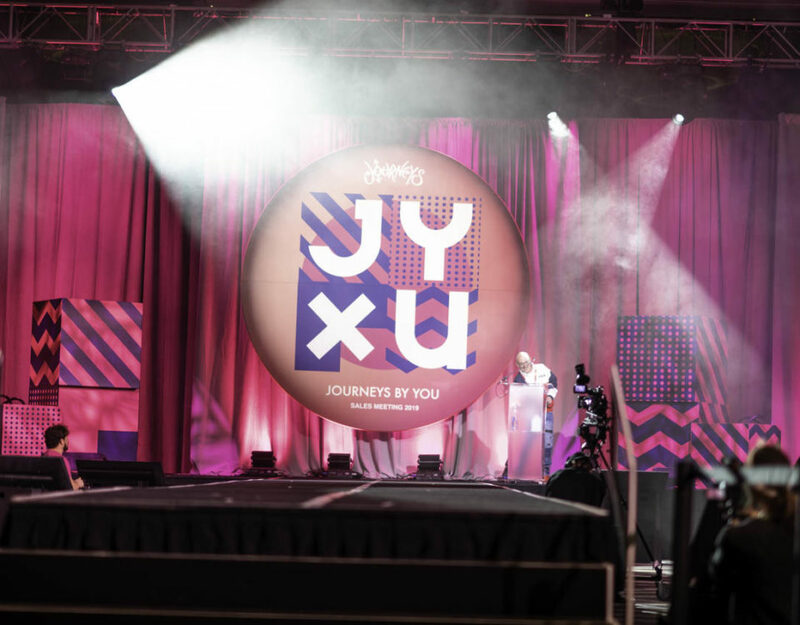 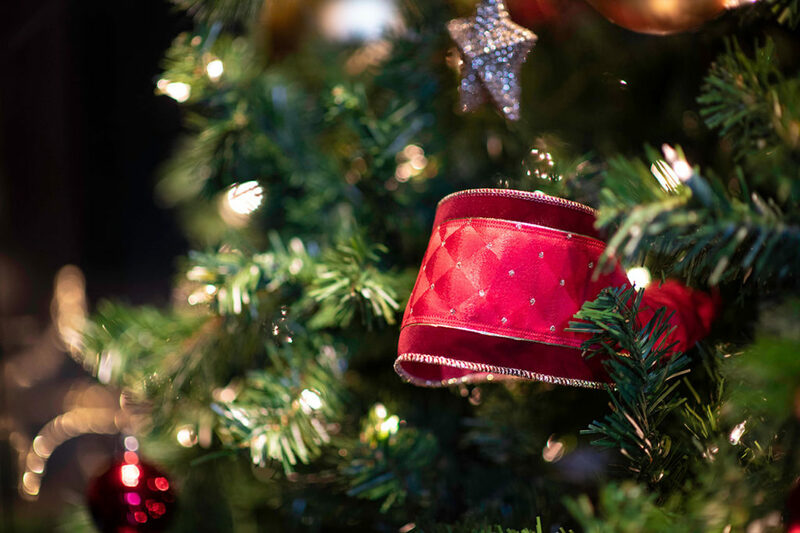 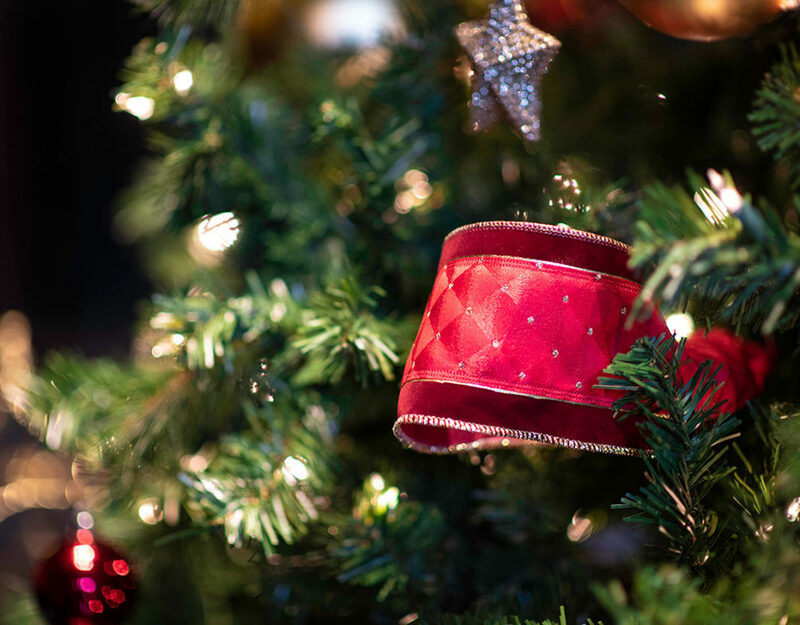 The evening’s thematic storyline was seamlessly woven throughout speeches by American Heart Association dignitaries, live auctions, and video content. 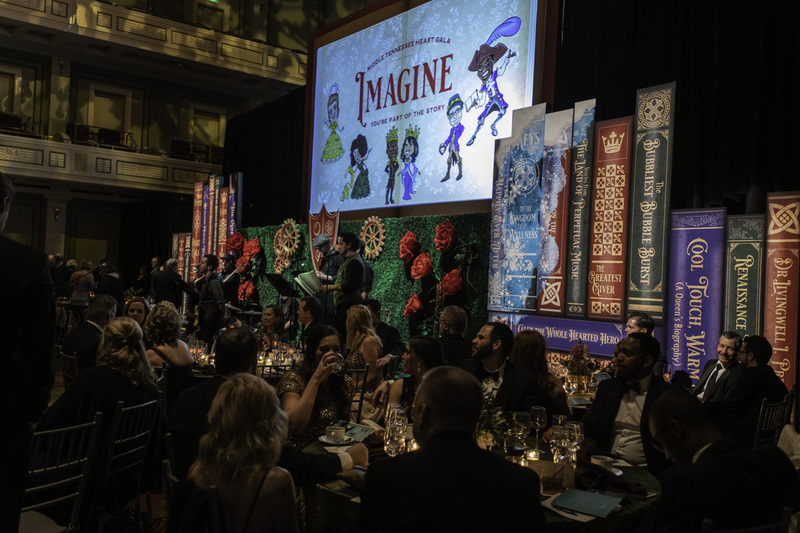 The climactic moment was the announcing of a record breaking $1.4 million dollars in earnings for the evening. 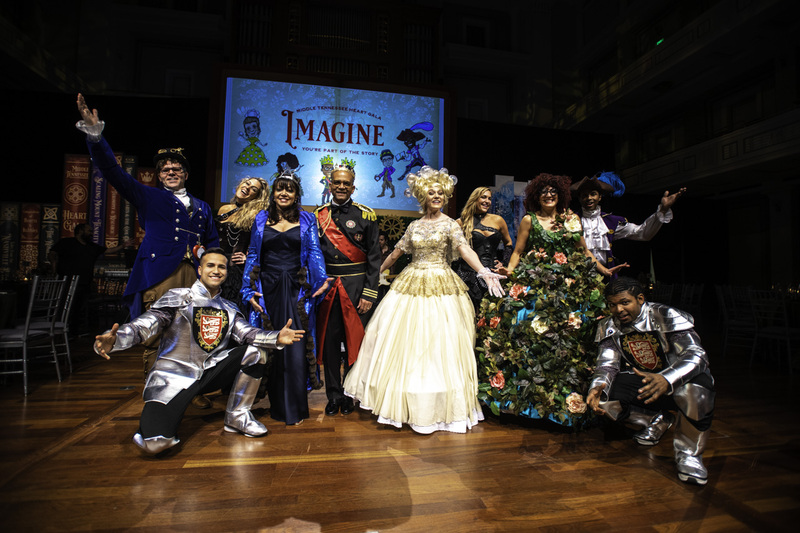 The finale was a clever musical number by Lady Bubbles of Generosity, the King of Broken Hearts and his wife the Cool Queen, and the entire cast. 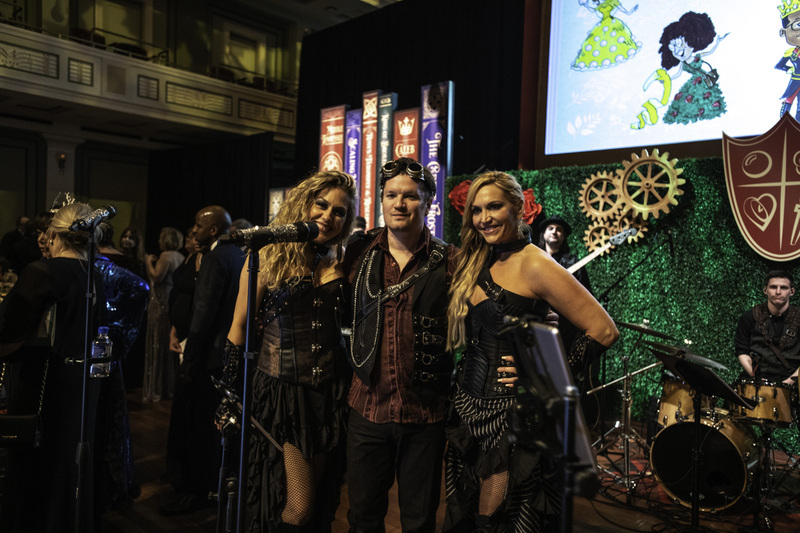 Then the night transitioned into a lively evening of dancing to the incredible sounds of Nashville's premier party group, "BanDLux" who were adorned in Steampunk themed costumes. 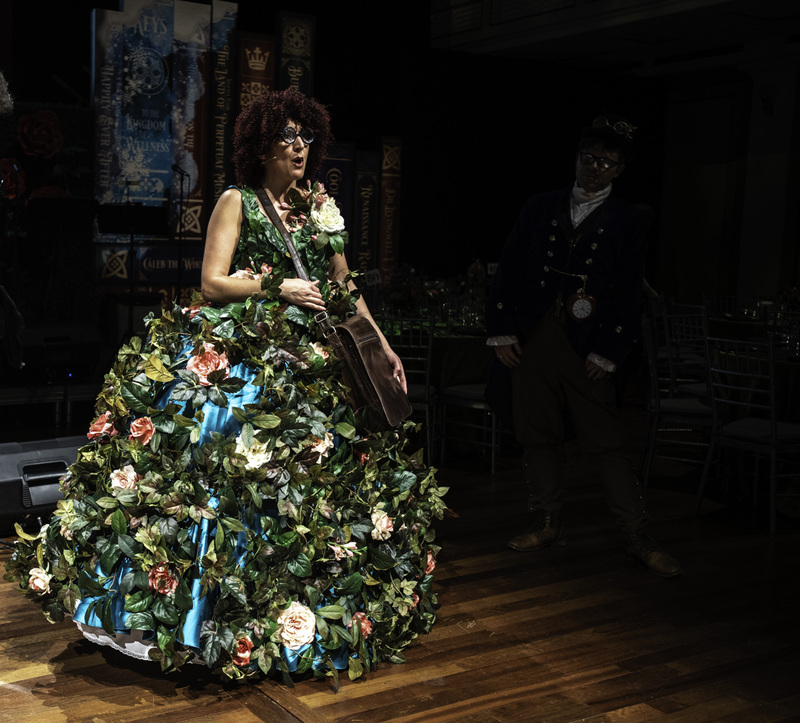 And as the story so aptly declares… They lived Happily Ever After. 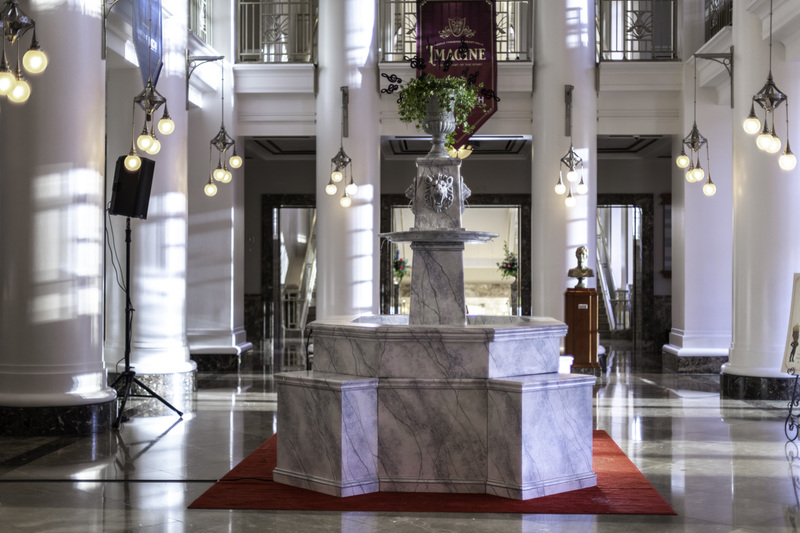 Here are clips of the characters doing the story segments of the show. 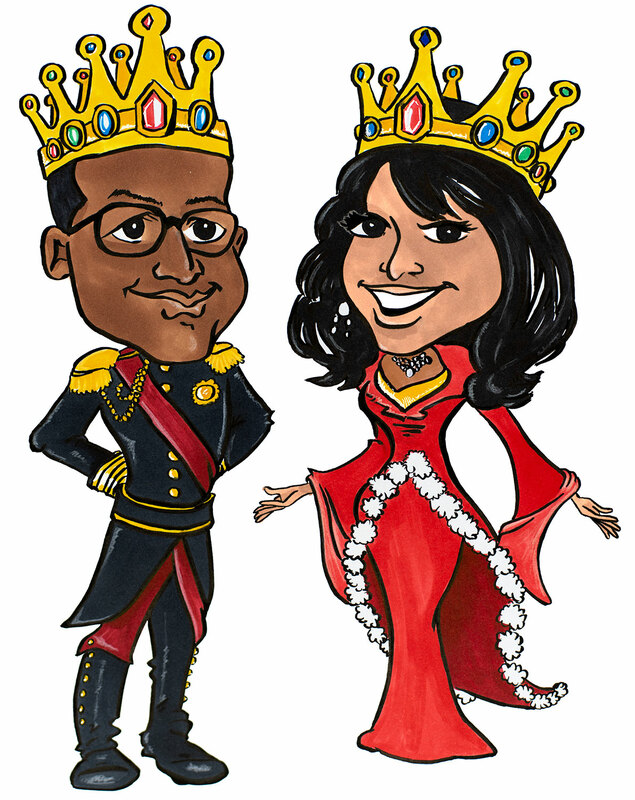 Here is a time lapse of the illustrations being hand drawn. 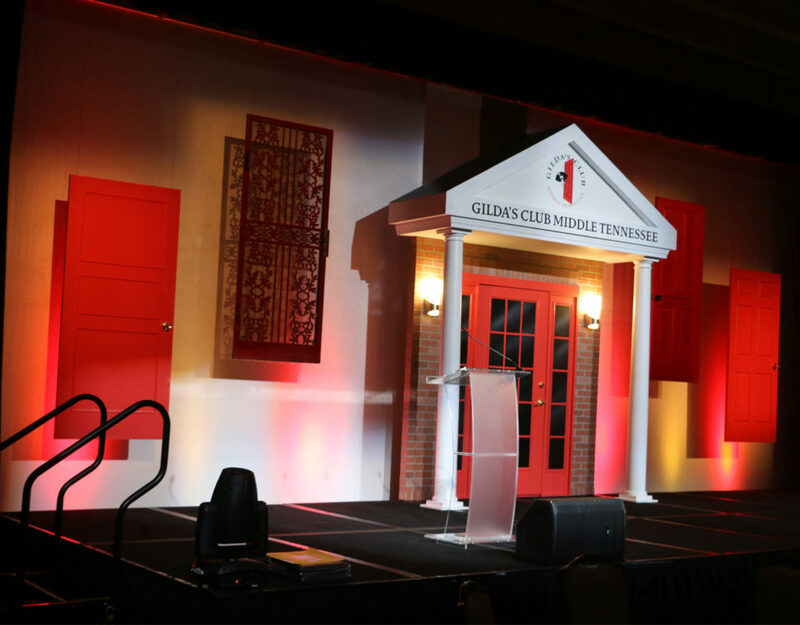 Greg Woodruff and Ed Morales take us through some of the event elements and give us a feel for how the event went. 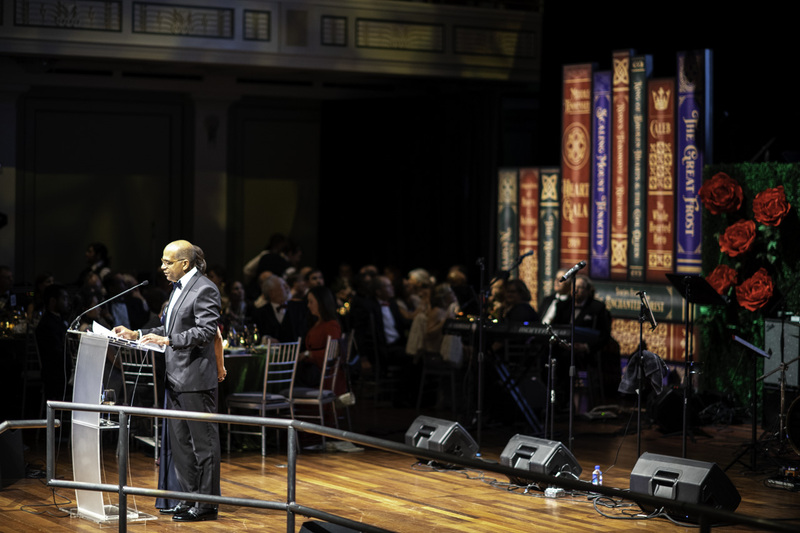 Gary Musick and Greg Woodruff talk about the event as it happens behind them.